Have you heard of oil pulling, or ‘swishing’, yet? It’s an alternative treatment that is purported to rid your body of unwanted bacteria through the process of swishing vegetable oil around your mouth. Those who swear by the process claim that it whitens teeth, fights bad breath, and gets rid of bacteria stuck in hard to reach places. 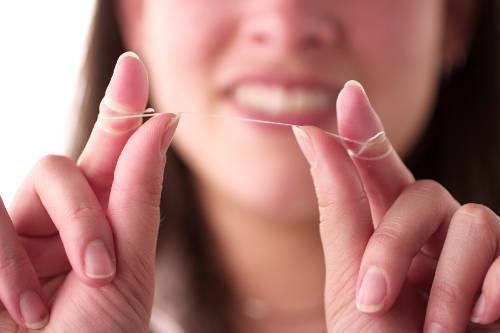 While it may sound like a great alternative oral care solution, it can never replace brushing and flossing. So we’re here to give you the straight facts about oil pulling, and to tell you exactly what you need to know about how it can affect your oral health. The process of oil pulling involves putting a tablespoon of liquid vegetable oil, often coconut oil, into your mouth and swishing it around for 20 minutes before spitting it out and brushing it away with a toothbrush and toothpaste. The process gets its name partly from the pushing and pulling of the oil through teeth and mouth, and partly from the way the oil is supposed to pull icky stuff out of your mouth tissues. 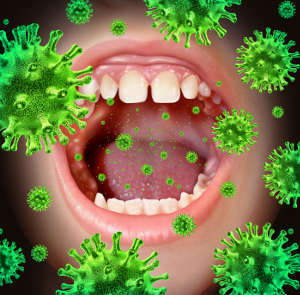 The number of bacteria found in our mouths is usually between 1,000 and 10,000 on each individual tooth. It may sound like a lot, but these guys are tiny! Each of these bacteria have a fatty outer coating, and when they come into contact with another fatty substance, such as oil, they have a tendency to stick to that substance. Since liquid oil has the ability to get into hard to reach areas of the mouth that a toothbrush would miss, it is thought to be able to pick up bacteria that may have otherwise stayed hidden. Another major element is what chemists call ‘polarity’. 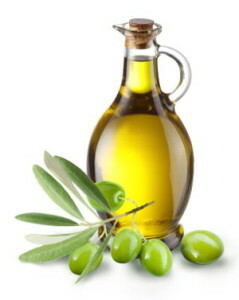 Oils are non-polar liquids, and will not blend with polar liquids. Think of how trying to mix oil and vinegar, or oil and water, just never seems to work. (Don’t worry, there won’t be a test later!) Well, that principle is in effect when you do oil pulling. When you brush your teeth, you’ll get some of the polar gunk that’s left in your mouth, but may not end up removing a lot of the non-polar stuff. Swishing with oil can help to dissolve and flush out residual non-polar nastiness and clean your mouth to a whole new level. These are the basic concepts behind oil pulling. We in the dental industry have seen it becoming very popular over the last decade or so, and it’s a good idea to have some solid information on the subject since misinformation abounds on the internet. Because we’re talking about a subject that’s common in the natural health world, one important point which we’d like to mention is how the usage of the word toxin is commonly used. In scientific literature, a toxin is a specific kind of organic poison. Many things are mistakenly described as such, and the internet marketplace selling ‘detox’ treatments is thriving these days. When someone claims that a product removes toxins, as many do claim with oil pulling, we feel that it’s important to take it with a grain of salt. For instance, someone could claim that toothbrushing removes toxins (since it physically dislodges things which may be, or may become, toxic) and they wouldn’t necessarily be factually incorrect, though it would be rather misleading. Because while oil pulling can remove bacteria and physical particles from your mouth, it cannot leach out toxic particles from your bloodstream or tissues — that’s what your kidneys and liver do! Is oil pulling an effective oral care technique? If oil pulling is used alone, without regular brushing and flossing, then no, it is not an effective way to keep your mouth healthy. However, when used in conjunction with proper daily brushing and flossing habits, it may improve bad breath, help to decrease staining, and benefit in other ways. There is no official verdict regarding the benefits of oil pulling as there is unfortunately very little research on the topic. But of course, if you have any particular input or insight into oil pulling, we welcome your comments on social media! Now, despite the lack of scientific investigation into oil pulling, many dental professionals recommend it to patients who are looking for a more natural substitute to mouth wash. The reasoning behind the oil pulling process is sound because even if you were to just swish water around in your mouth for 20 minutes, more bacteria would be dislodged than if you hadn’t. And oil, with its non-polar bacteria-magnet potential, could make that swishing effect even more effective. For this reason, oil pulling could be considered a healthy oral practice. But it must be done in conjunction with daily brushing and flossing as it does nothing to fight against already existing tooth decay and cannot remove plaque and tartar the way a toothbrush and floss can. How often should I swish? Oil pulling can be done as many times as you are comfortable with. This could mean once every few months, twice a week, or every single day. The more frequently it is done, the more you may reap the benefits, but there is no official schedule to oil pulling that you must stick with. What are the downsides of oil pulling? Although the act of swishing vegetable oil around in your mouth for 20 minutes will do you no harm, the muscles in your face may become tired or slightly sore from the exertion. To combat that, don’t swish too vigorously, and make sure to not use too much oil since it’ll take more force to keep your lips firmly sealed. You should be swishing softly enough that your tongue is doing very little work and your jaws are relaxed. Think of it as a marathon instead of a sprint and have some fun with it. One very important thing to remember is to not swallow any of the oil. It will likely not sit well with your stomach, and you will ingest the gross stuff that you are trying to rid yourself of. Another thing to be aware of is that oil pulling can be a very unpleasant experience if you have a sensitive gag reflex. The desire to swallow or the feeling of having a large ball of thick liquid in the mouth leaves some too uncomfortable to attempt it for the full 20 minutes. What type of oils can be used in oil pulling? Only recommended if you REALLY like olives. 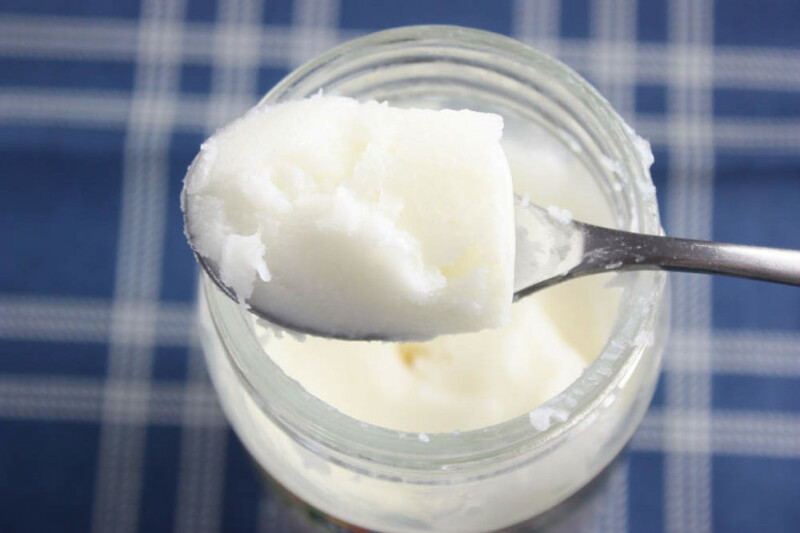 Any type of vegetable oil can be used in oil pulling, however liquified coconut oil has been hailed as the best choice for a few different reasons. The first, and probably most important reason, is that it tastes better than most oils. You have to think about what you’d prefer to be tasting for 20 minutes and, if you don’t mind the taste of coconut, this is your best bet. The second reason is that refined coconut oil provides oral health benefits in that it contains lauric acid, a compound that breaks through the fatty layer of bacteria and kills them. It also contains trace amounts of vitamin K, which helps to create proteins that promote healthy bones and prevent blood clots, and vitamin E, which acts as an antioxidant. Should I start oil pulling as part of my oral care routine? Oil pulling can be used in addition to your regular oral care routine but, as with any oral health concern, check with your dentist before making any changes. There may be issues with oil pulling that are specific to you and your mouth, and what may have worked for others might not be the best choice for you.